You’ve just booked your ski holiday and the excitement is already kicking in. Feeling prepared you’ve pre-booked your lift pass, all that’s left to do is grab your suitcase and head for the airport, right? But, what about your skis? The big decision is whether you wax your skis and go with the confidence you have your own with you or is it easier to hire your equipment when you get there? This isn’t as clear-cut as you may think. It definitely depends on your preference, some people love taking their own skis, while others swear by the convenience of hiring skis abroad. It is certainly nicer to have your own equipment with you to match your precise needs. Buying a pair of skis lets you practice before you go abroad, removes the hassle of collecting equipment from a rental shop and saves you money if you’re planning on going on multiple ski holidays. However, some prefer to not have the hassle of transporting their skis. Especially, if this is your first ski tip then it makes more sense to hire your equipment. Hired skis are generally very well maintained and you can always upgrade day to day depending on the conditions on the slopes. For a first-time skier or a one-off ski trip, people are more likely to rent skis, boards, poles and helmets. Skiers and snowboarders can rent their skis or snowboards in a resort which can beat bringing their own to the slopes and can also save money. On average it is more expensive to add the ski carriage to a flight than to rent skis for a week. Obviously, this all depends on the level of rental skis which can range from fat-waist twin-tipped ski to a standard piste ski. This is where the skier needs to be realistic and only hire the type of ski necessary for what they will be doing. If you do rent skis you should unquestionably book them before you travel rather than walking into the shop and booking on the day. Many are tempted to wait until they get to the resort to hire their gear however this can actually drive up the price significantly. The best way to cut down costs and budget correctly is to book hire before you arrive. This will also ensure you get the best models! You can book your ski hire online here! The piece of equipment we recommend you invest in is ski boots. Make sure you have a proper fitting consultation, custom moulding and the correct footbeds to ensure your feet don’t end up hurting. 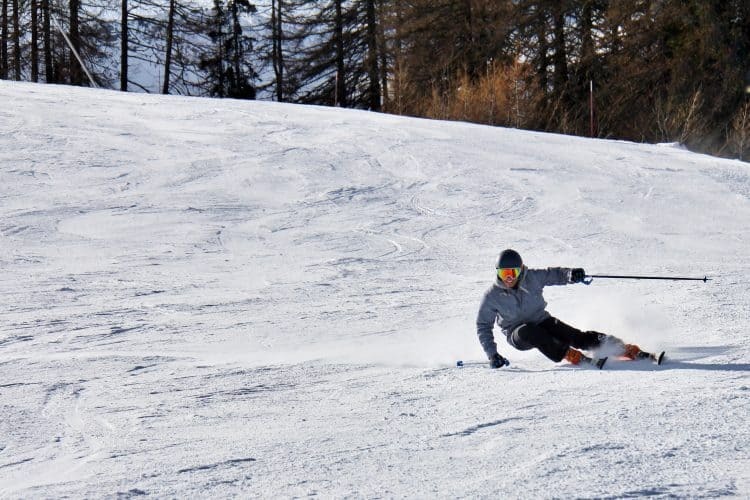 Now we’ve been through the benefits, you can make your own choice whether you would prefer to hire skis abroad. Skis or snowboard boots will need to be packed separately from your skis or snowboard and will count as a separate item of baggage. Virgin Atlantic allows you to fly your ski gear as part of your baggage allowance as long as it weighs 23kg or less. Ski equipment contains one pair of skis, ski boots and a mask or helmet. Snowboard contains a snowboard, boots and bindings and a helmet. Emirates consider your ski equipment as standard checked baggage allowance. Your ski gear may contain: one pair of skis, one pair of ski poles and ski boots, or one snowboard and a pair of boots. Air France will accept your ski equipment as a standard baggage and checked allowance. No extra charge is included, but all items must be packed in a travel bag that does not exceed 300 cm in length. Ski equipment may include the following items: Alpine and cross-country skis: one pair of skis, one pair of poles, a pair of boots or Snowboard: one board, a pair of boots. Boots must be packed in a separate bag. EasyJet allows up to 20kg of equipment for boots, skis or snowboards. Charges are £37 online and £47 at the airport. Ryanair ski equipment (up to 20kg) fee is £45 online and £50 at the airport. Unfortunately, there are additional costs other than the airline costs when you take your skis abroad with you. I say, unfortunately, but this one is a necessity. Remember when I said some people opt for hiring skis rather than taking their own as they would not want to risk losing their prized possessions. There is always a chance this could happen, albeit a very low chance, however, there’s still that slim chance. If the worst were to happen, you would like the piece of mind that you wouldn’t be out of pocket, wouldn’t you? That’s why we would always recommend insurance! Imagine sitting on a plane and looking out of the window to see your ski/snowboard equipment being thrown around. Making sure you have the best bag to protect your skis or snowboard is essential to minimise the risk of damage. 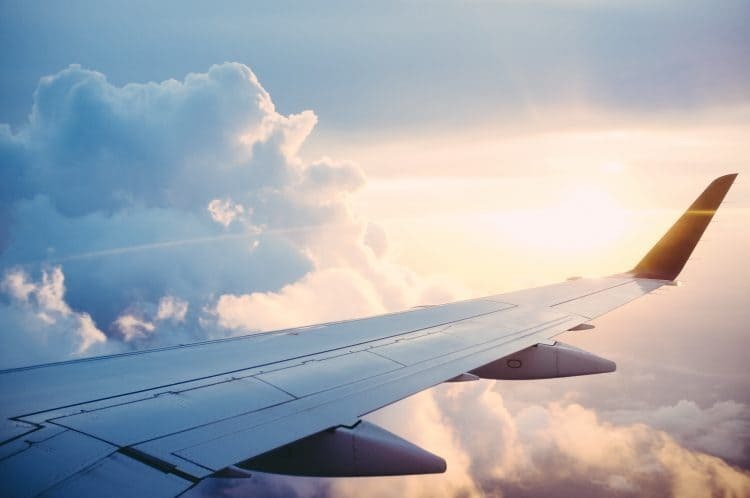 For a short trip to the slopes, think about a basic bag with a shoulder strap, however, if you are travelling further afield you may want something sturdier, especially if there is a connecting flight you need to take. If your trip is over a week you may wish to opt for a ‘coffin’ style bag which will give extra padding and more room to pack items in comparison to a standard suitcase. Taking a case on wheels means you won’t pull a muscle before you’ve even hit the slopes. Check your baggage fees and terms before travelling. Additional bags or if over a certain weight will require extra fees for air travel. Protect the tips of your ski poles with tip covers or wrap foam insulation around the tips and use a rubber band to secure it. This will prevent them from ripping your ski bag or injuring a baggage inspector. Don’t travel with skis on the outside of a bag as this will become caught in the baggage conveyor, instead use a padded ski bag to pack skis and poles. To save on space pack folded/rolled clothing in the bag with the skis. Clothing provides additional padding and means you won’t need to carry as many bags, which will also reduce baggage fees. Include a luggage tag with your contact information to the outside and inside of your bag, that way if the outer tag becomes lost, the tag on the inside will guarantee you are reunited with your skis at your destination. There are many benefits to taking your skis or hiring them when you get there. It is all down to personal preference whether you decide to go with the convenience of hiring or the comfort of taking your skis with you. Either way, we are sure you will have a great ski holiday!